TUCSON, Ariz. (Apr. 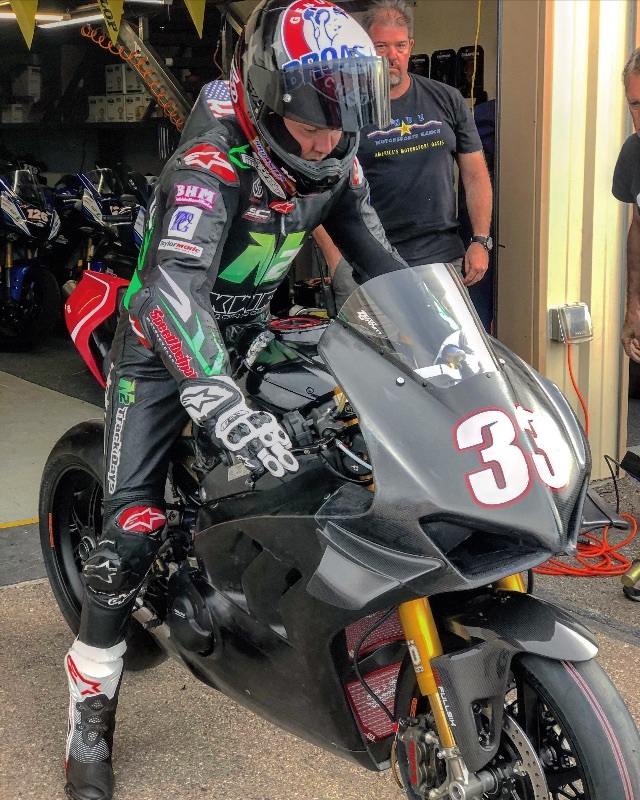 2)— Kyle Wyman Racing (KWR) has completed final preparations for the 2019 MotoAmerica Superbike series and will debut their brand new Ducati Panigale V4 R this weekend, April 5-7 2019. Wyman will ride the #33 Lucas Oil/Excelsus Solutions/KWR Ducati with 10 laps of testing time in the pre-season. The KWR team received two Panigale V4 R’s just over three weeks ago, and the efforts put in by crew and sponsors alike have been enough to complete a Superbike build that will put Wyman on the grid, just in time for Road Atlanta. Wyman is excited to get to work on the new bike and begin the development process. To start the year the bike will be in a basic, but usable form. OEM electronics have been retained on the bike for now, while some performance parts have been fitted. The bike boasts adjustable Evol Technologytriple clamps, a custom full system exhaust from SC Project, OZ Superbike wheels, Brembo brakes and Ohlins Superbike forks. The addition of a larger, custom-fabricated fuel tank has been fitted as well. First practice starts Friday morning, April 5th at 11:20am EST. Live coverage begins right at the start of practice via MotoAmerica Live+, and both races will be broadcast live on Fox Sports 2 (FS2). Visit www.kylewymanracing.comfor more news and updates.